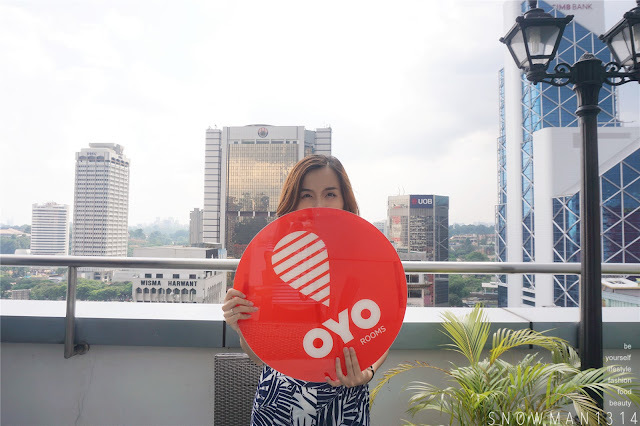 OYO Rooms finally launch their first international network to Malaysia! When I first attend their meet and greet, I was totally have zero knowledge about OYO and to have a 20+ years old CEO is like OH MY. 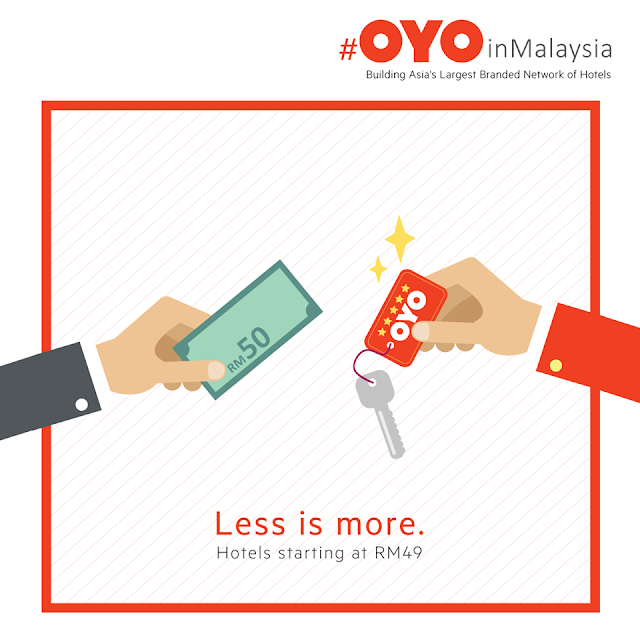 So what's so great about this OYO Rooms in India and Malaysia? 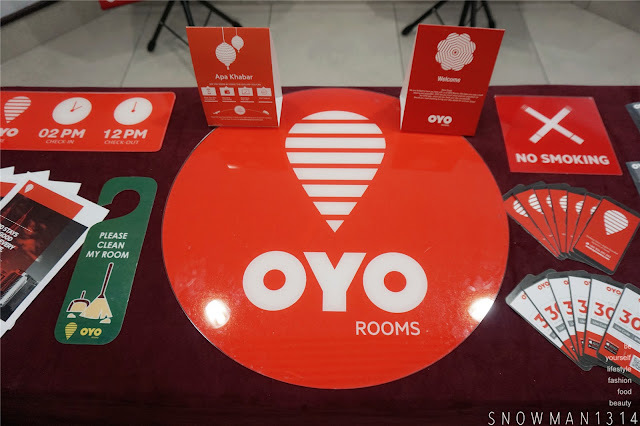 Launches in 2013, OYO is India's largest branded network of hotels and aim to be Asia's largest branded network of hotels. Its network currently spans over 6500+ hotels in 180+ cities. The company's visions is to become the most preferred and trusted hotel brand. OYO has received several national and international accolades. OYO was founded by Rites Agarwal, the first resident Asian to be accepted to the Thiel Fellowship. He recently featured in the Forbes 30 under 30 list in the global. OYO promises comfortable, affordable and delightful stays with features such as an air conditioned room, complimentary Wi-Fi and 24x7 customer service support. 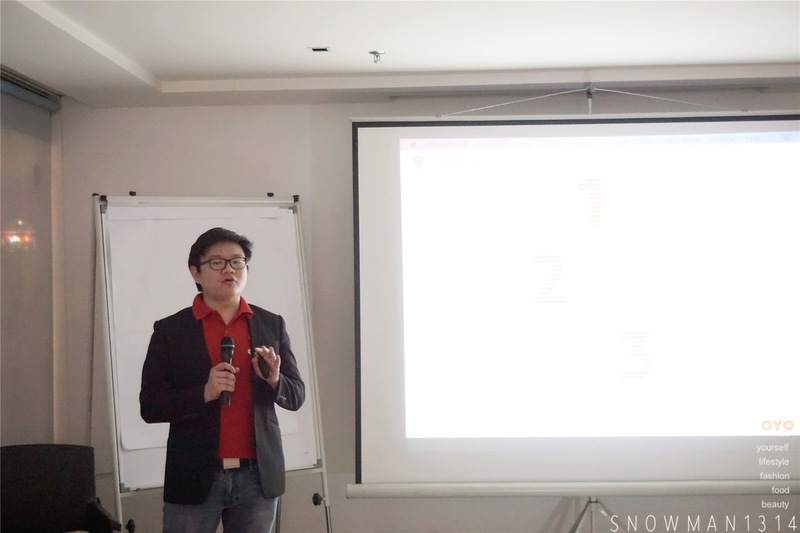 Victor, the OYO Country Head at Malaysia brief us more about OYO. They started operating in Malaysia since January 2016 and currently have 200+ hotels in our network and 5000+ room inventory spread across Kuala Lumpur, Klang, Petaling Jaya, Rawang, Seremban, Shah Alam, Subang, Penang, Malacca, Johor Bahru, Langkawi, Ipoh, Taiping, Kuala Kangsar, Kampar, Seri Iskandar, Kota Kinabalu and Cameron Highland and very soon all across Malaysia at an extremely rapid pace. How OYO Started? 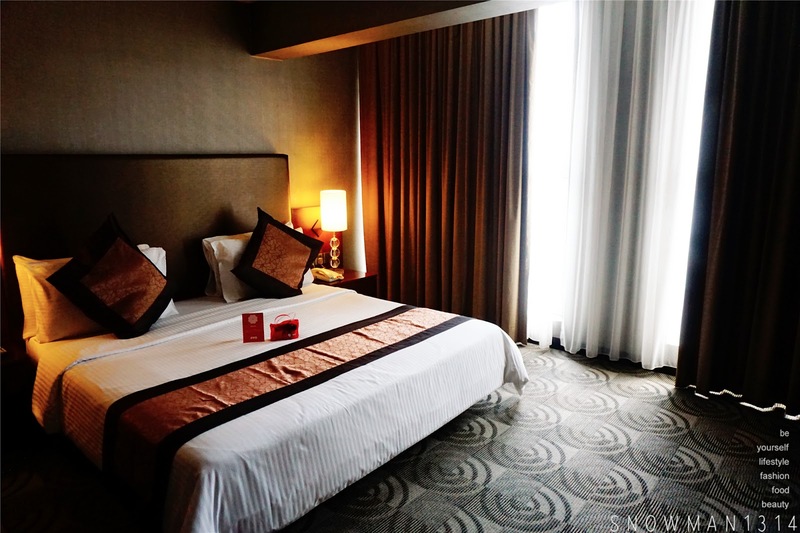 Have you ever book a hotel room that looks totally different from the picture? Or even worst with water leaking, no wifi around, no transport provide you from Airport? 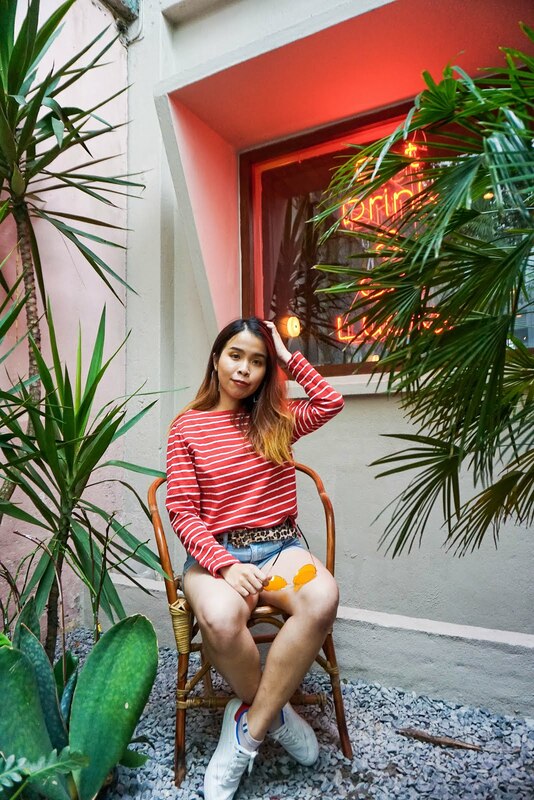 I believe that when you travel to other country with the different language barrier you will always find yourself stuck in circumstances that you do no want it to happen. But if you able to book room through OYO nothing of what I mention above will not that be happen!!! Ritesh personally experienced when he started traveling at the age of 17. He stayed in more than 150 bed and breakfasts, guest houses and hotels and found out that there was no set minimum standard of quality and service at budget accommodations. The element of chance was high and it caused trust deficiency among the consumers. At that time, Ritesh already had a startup, Oravel Stays, which aggregated budget hotel accommodations and listed them online. 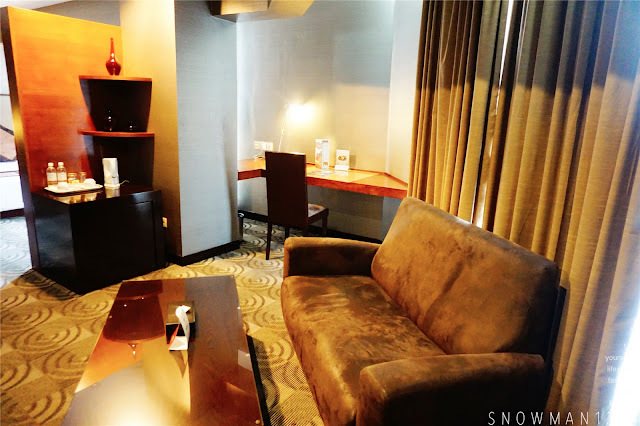 However, his unpredictable and often unsatisfactory experiences of staying at various budget accommodations made him realize that the problem was not discoverability of these hotels, but the lack of predictability and standardization. Hence, he pivoted Oravel to OYO in 2013. OYO delivers quality and predictable stays enabled by technology. So now OYO was conceived to enable a comfortable out-of-home experience, by offering standardized, affordable hotel-rooms made available through a hassle-free search-and-book process. 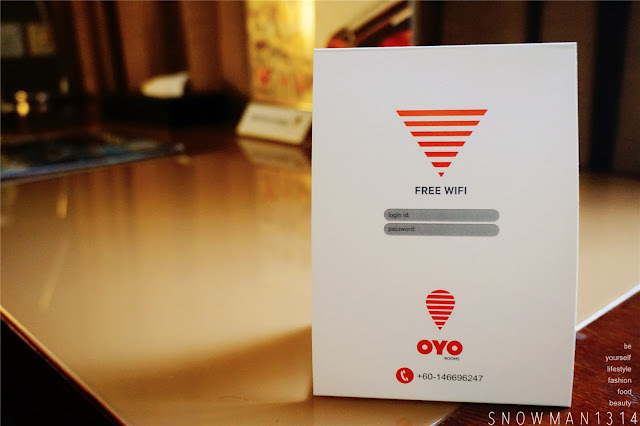 Every OYO room comes with an assurance of cleanliness and hygiene, free Wi-Fi, complimentary breakfast and 24x7 customer support. Don't miss it!! 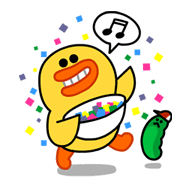 It say that you can get FREE RM50 upon SIGN-UP on APP using referral Code OYOSD50. 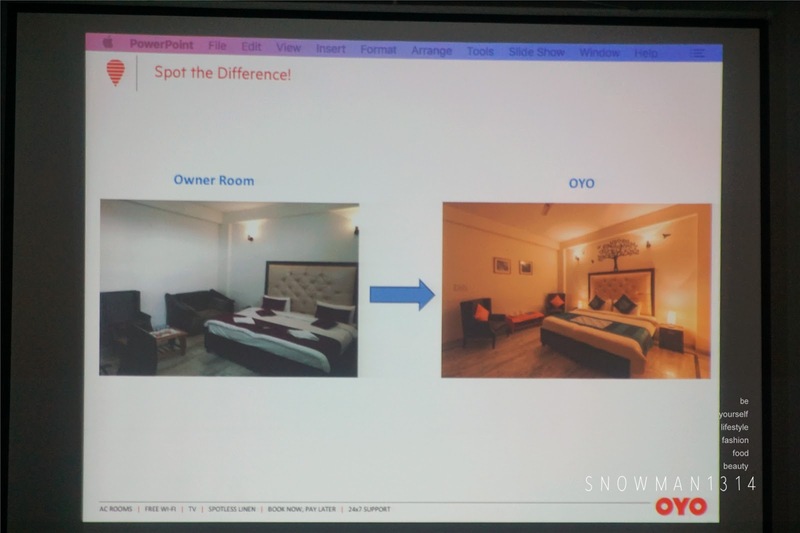 Always looks for OYO Rooms in Hotel that you want to stay and you will know that this hotel comes in OYO is more safe, reliable and trust! In OYO Rooms, you won't need to worry that will my room looks different from the website, every OYO Rooms is decorate with special Duvet, Cushions and even Dim Orange light to create the cozy ambiance for you when you are in Hotel Room. Not only that, they will provide the Welcome card and the Wi-Fi username and PW for you to access Wi-Fi easily. 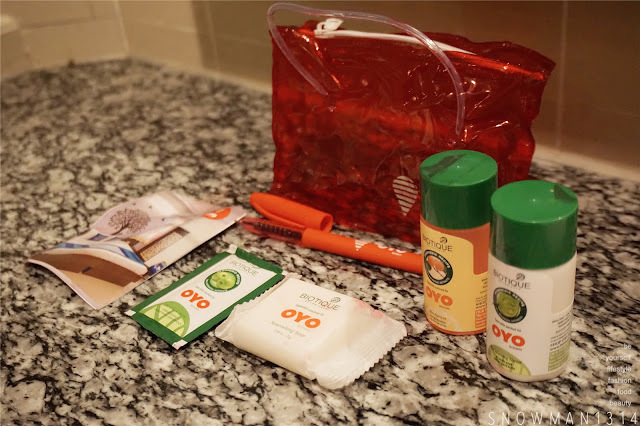 Not only that OYO Rooms comes with this cute travel kit specially for all OYO customer. Comes in Lotion, Body Soap, Shampoo, Pen and ETC. 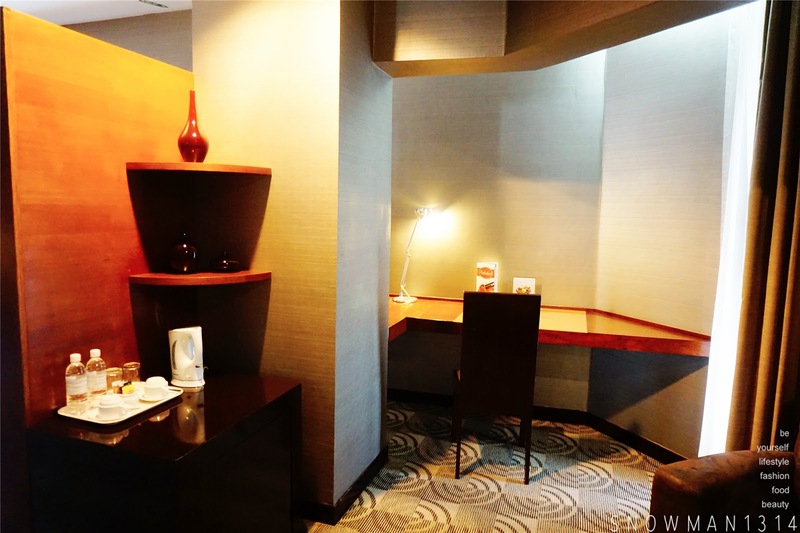 Even the president suites is upgraded with all the OYO design which makes the room more classy and cozy to stay. They will make sure the toilet cleanliness too. This is everyone concern too, we don't want see any dirty stain or insect around too. Which I find it disgusting when I saw any insect or dirty tissues around the toilet. Thanks Victor and OYO Malaysia for having us for this wonderful meet and greet session! So don't worry when you see this OYO Rooms signboard outside the hotels, you will definitely know that this hotel is definitely reliable when it comes to OYO ROOMS! I like their 24x7 customer service, where you can always call up their service hotline and ask for any direction that you want to go. And they will lead you and give you friendly advice too! 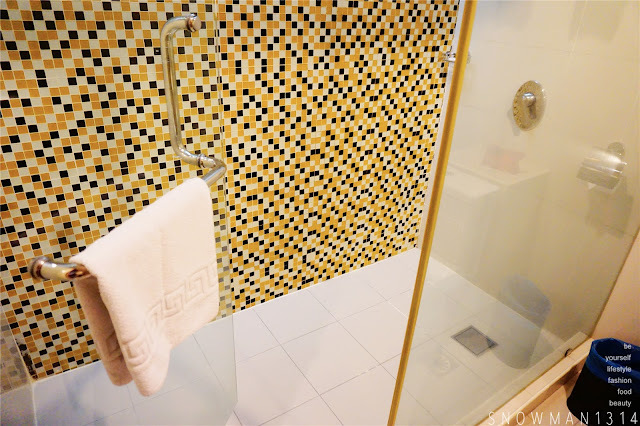 I feel really secure because if I stay over at OYO Rooms, I know that everything is under good hands, reliable hand and is well taken care of. Its like a Travel Mate for me when you travel, I believe that every traveler need that MATE with you when you travel. So do check out what OYO Rooms can offer for you, with AFFORDABLE PRICE but 101% of SERVICES you can get when you stay at OYO Rooms. 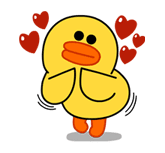 Lastly not only that OYO comes out with a Buddy Love Code where you can share OYO Love with your friends, family, relatives and more. 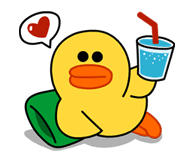 Here's my unique Buddy Love Code for everyone! What's is this Buddy Code? It specially for you and you can get 20% OFF for your OYO Room booking through OYO Apps! 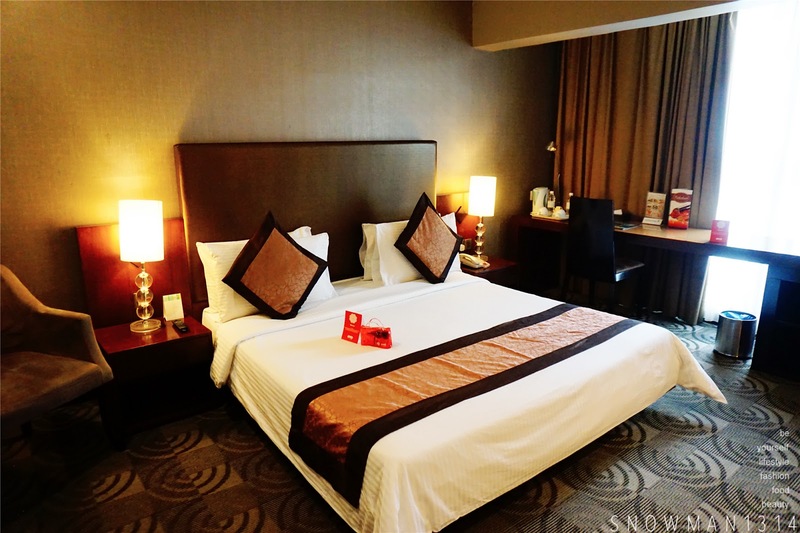 Not forget you can always get a one night room as low as only RM49!! 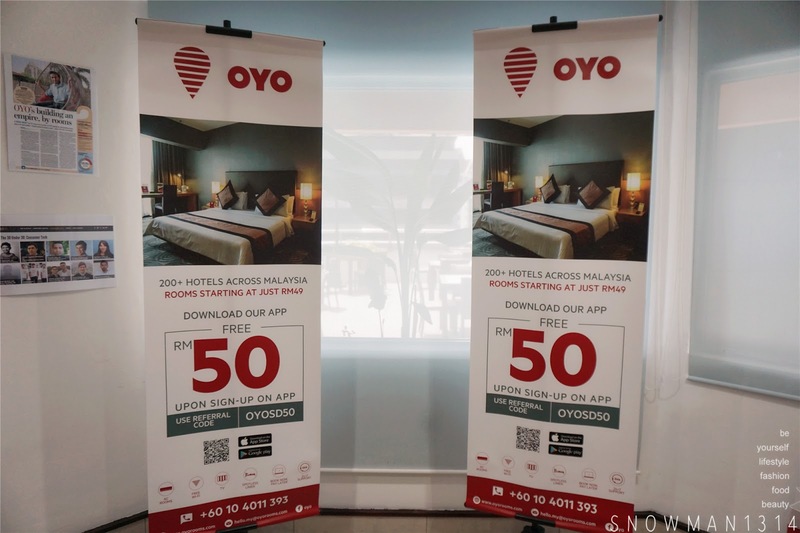 Although the hotels options for OYO Rooms is not that much, but please be patient where OYO will continue their expand through whole Malaysia by the end of year. They will expect 400+ Hotels and 5000+ more rooms coming soon. So don't worry and Happy OYO ing! I'm excited about OYO room rates except that I am a bit weary about the quality of rooms. Also, I'm particular about location since I take public transport. I hope that this piece of information is revealed. I know that they offer the lowest room for the standard room of the hotel. Maybe you can choose a hotel which has higher standard too. You can shake when you open OYO app and find a hotel nearby too! You are welcome dear!! Hope they can expand to more country soon!! another hotel booking platform! !I think i should start to use OYO!! Yes that's why we need OYO to lead and guide us through this info! It is damn cheap to book a hotel through OYO. The rooms look clean too. With OYO you no need to worry too much hehe! Yes it was! Classy and Cozy! It seem a good apps as we can book hotel room as low as RM 49 and the room is spacious and clean. I will try to book. Read about this venture on so many blogs. Looks quite promising to try. It will be very helpful while booking for a hotel and reading the reviews. I heard about this. 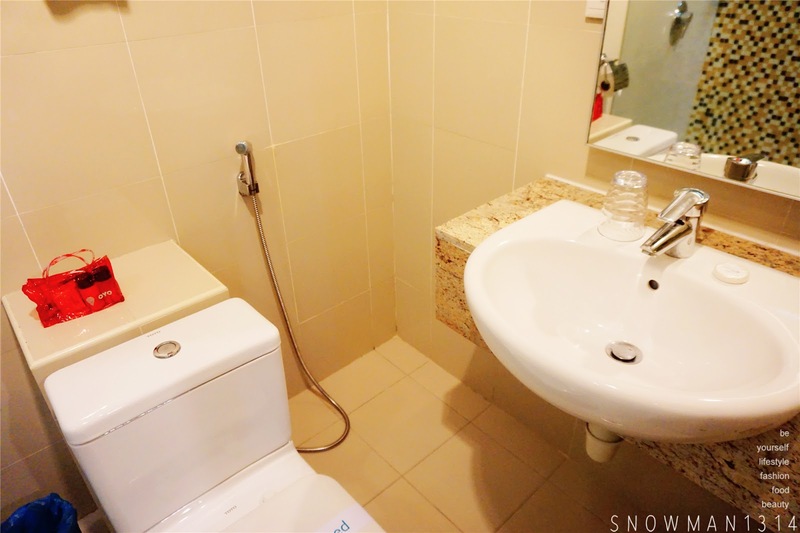 Serious super cheap hotel at very convenient location. Good quality some more! Never know OYO until I read your post. Haha. Is it an app? The rooms are simple but fancy looking :D Good for Oyo! Good that OYO offers cheaper hotels. The rooms look comfortable. Yes they always offer the cheaper hotel room! the room look so comfortable and big! will check them out! i was invited for the launch too. too bad i did not manage to make it. seems that all of you having so much fun there. Seem a great site for cheap deals. The room look cozy. That's what the purpose of OYO! Cozy room is the best! Me too! 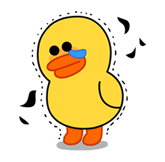 Have not really plan trip recently.